What are the designs on the North Dakota flag and what do they represent? When was the North Dakota flag adopted? How are you supposed to fly the North Dakota flag with your American flag? Where can you buy a North Dakota flag? The state flag of North Dakota consists of a dark blue field with a bald eagle with wings spread and beak open in the center of the flag. In the eagle’s left talon is a sheaf of arrows and in the right is an olive branch with three red berries. On the eagle’s breast is a shield with the lower part showing seven red and six white stripes placed alternately. The eagle’s beak holds a scroll bearing the words “E PLURIBUS UNUM”. Beneath the eagle is a scroll with the words “NORTH DAKOTA”. Over the scroll are thirteen five-pointed stars arranged in two semi-circular rows, the top arc with 7 stars and the bottom arc with 6. A sunburst is placed above the stars. 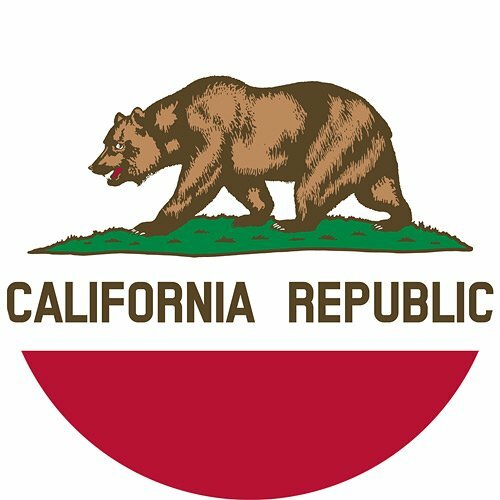 The flag’s design representations are as follows: The sunburst symbolizes hope, progress and a bright future, the 13 stars represent the original 13 colonies, “E PLURIBUS UNUM” is the motto of the United States meaning, out of many, one and symbolizes unity. The bald eagle represents strength and power of the union. The shield with 13 stripes stands for the original 13 colonies that were united to form the United States. The olive branch symbolizes peace and the bundle of arrows represents the readiness to defend freedom and liberty. 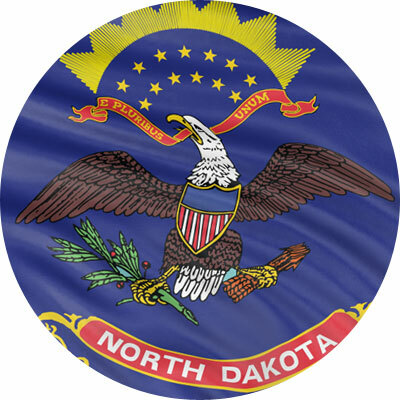 The flag of North Dakota was adopted by the North Dakota Legislative Assembly on March 3, 1911, although the color was not precisely specified at that time. 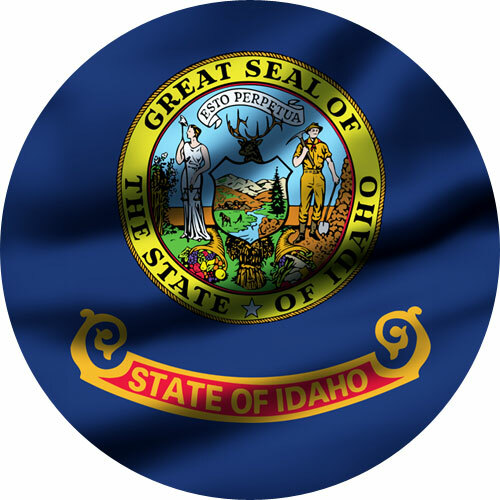 The flag was brought in line with the original troop banner on November 9, 1943 and was officially adopted on that date by the State’s Legislature. When flying the North Dakota and American flag on the same pole, the flag of the United States must always be at the top and the North Dakota flag should be the same size or smaller. When It is flown on separate poles, the North Dakota flag will be to the right of the flag of the United States situating the U.S. flag in the position of honor, which is to the observer’s left of the other flags. Star Spangled Flag sells a beautiful North Dakota flag that is 100% made by materials made in the USA! They use a tough material and add UV protection which adds to the longevity of the flag. They also use superior stitching that helps to prevent fraying and unraveling. A big plus is that they provide free shipping! North Dakota, the land of honey, sunflowers, lawn mower racing, the largest pancake and the largest burger. It’s located in the upper Midwestern portion of the country and bordered by Montana on its west, South Dakota on its west, Minnesota on its west, and Manitoba on its north. Its official nickname is “The Peace Garden State,” but it’s also known to be the Flickertail State, which pertains to the Richardson ground squirrels abundant in the area. Another nickname for North Dakota is “The Roughrider State,” which started in the 60s to promote tourism. The name Roughrider refers to the cavalry President Roosevelt organized during the Spanish-American war. There are a lot of interesting and quirky things going on in North Dakota and they show in some of the crazy laws that exist in the state. It is considered illegal to fall asleep with your shoes on. A person may do jail-time for sporting a hat while dancing or going to a function where there is dancing. It is illegal to serve beer and pretzels at the same time. Fireworks may not be lighted or set off after 11PM, there goes New Year celebrations. It is considered legal to shoot a Native American (Indian) on horseback, provided you’re riding in a covered wagon. North Dakotans may have some quirkiness when it comes to their laws and regulations, but they do know how to have fun. Here are some of their famous celebrations and events. This celebration has 10 stages; 3 rodeo nights, 3 auto-events nights, a big concert, a carnival, exhibits and livestock entertainment, and various fun competitions. This fun-filled event draws an annual crowd of a million annually. This farm show attracts and unites over 800 agri-exhibitors and draws more than 70,000 fans to West Fargo. The main objective of this event is to advance agriculture. It shows the latest equipment and machineries used in farming, and other farm technologies. A Scandinavian themed festival that is considered to be the largest in North America. It celebrates with food, music, clothes, art and jewelry. Over 200 chefs, craftsmen, and artisans participate in this event. This event features concerts, rodeo shows, carnival, dancing, baseball, road races, golf tourney, fireworks, and of course a colorful parade. It’s included in the “Top 100 Events in America” and always a big crowd drawer for the state. This celebration dates back to the time of the Fort Union Trading Post during the 19th century. It showcases the skills very profitable during those times such as beaver skinning, Blacksmithing, brain tanning, bow making, flint knapping and other crafts. Are you from North Dakota? Proud of your state? Show it! Fly a flag or display one in your home during a state or national celebration. Support your state. Fly a flag. Want a flag that looks good, flies high, and lasts longer than other flags you’ll ever find on the market? Reach out to us! We design our flags to be beautiful and strong! Each strand is treated to withstand North Dakota’s climate so you’re sure to have a flag that you can pass on to the younger generation. Contact us today!